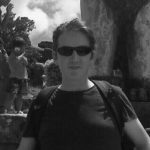 If you are looking for a bar to watch to live sport with English commentary, then you have come to the right place. While many local Czech bars will have a TV in the corner showing limited live sports, as a lot of them don't have cable TV and the commentary will definitely be in Czech. 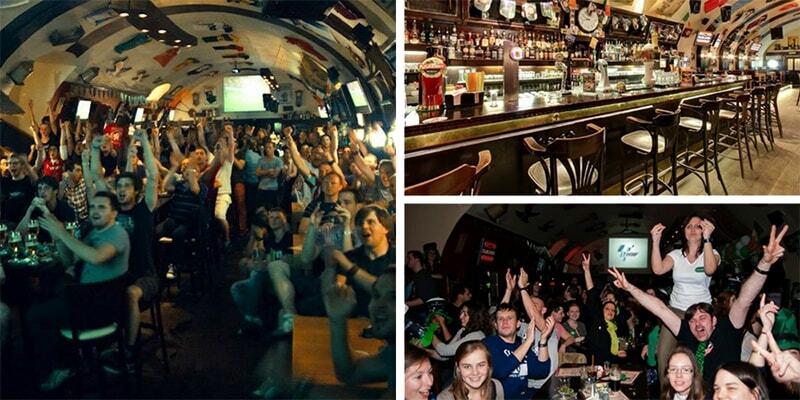 Here are our picks for the best sports bars in Prague. Prague is one of the last major cities in Europe to allow smoking in bars and restaurants but for not much longer as a complete smoking is coming into law on May 31 this year (2017). In preparation for this, a lot of bars and restaurants are already non-smoking. Expats bar was originally in Vinohrady and then relocated to the centre. Unfortunately, they had to close the bar in the centre due to noise issues. But now they opened an even bigger venue back in Vinohrady but only a 10 minute walk from the top of Wenceslas Square. The bar now has a capacity to hold up to 300 people. Here different sports games can be viewed at the same time. As before there are multiple screens around the bar. 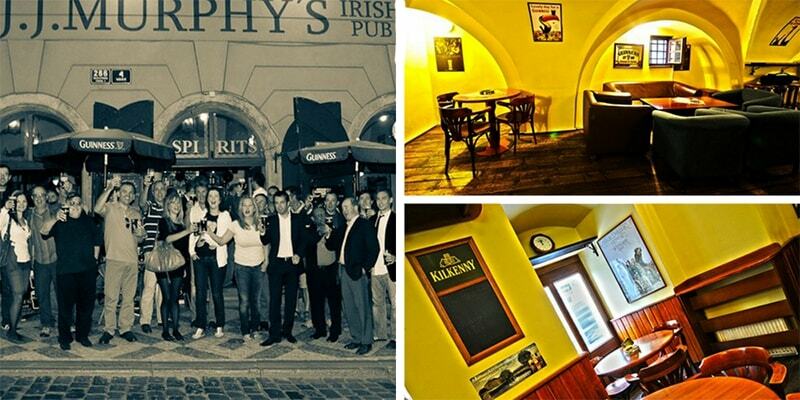 JJ Murphy’s is located in the very heart of Mala Strana just 5 minutes from the Charles Bridge. There are many flat screen TVs around the bar showing different sporting events. Also you can enjoy watching the sport in the upstairs lounge on one of the many sofas. This bar has a great atmosphere when watching a big Premier League game. 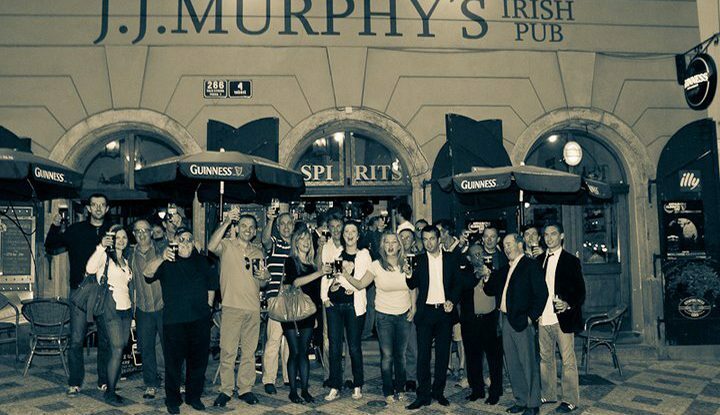 The original bar was the first bar ever in the Czech Republic that sold draught Guinness. The bar reopened in what was Molly Malones and is on U Obecniho Dvora 4 (5 mins from the Old Town Square). The road called Kozi bends around to the left to become U Obecniho Dvora and over on your right up the steps is the bar. There are 2 large plasma screen TVs to enjoy the sport on. Its one of the best places to enjoy a live soccer game in the centre. 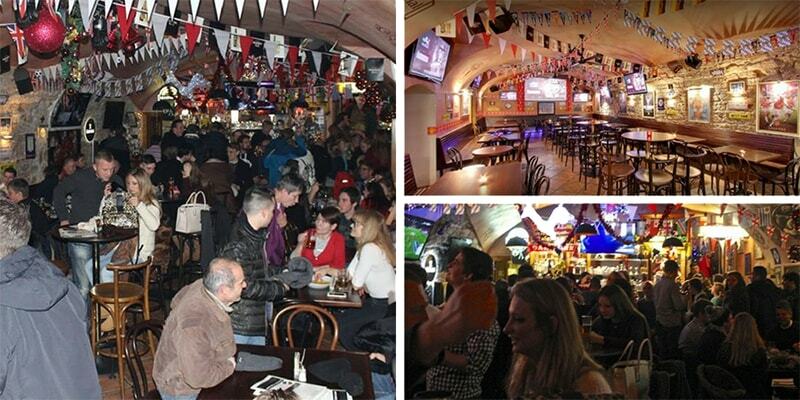 The Dubliner is yet another Irish bar in the centre of Prague only 100 metres from the Old Town Square. From the Old Town Square walk through Tyn Arch and you will see it straight away on your left hand side. This is a very large cellar bar and there must be at least 20 flat screen TVs on the walls showing live sporting events simultaneously. Again another bar with a great atmosphere while watching a live game. You can find Reigrovy Sady Beer Garden in Vinohrady just on the edge of Zizkov and it's only a 15 minute walk from the top of Wenceslas Square in the centre. It is one of the largest and most popular beer gardens in Prague and the number of stalls serving beer and food is ever expanding. Depending on the day there can be up to 15 different stalls opened. It seats approx 2,000 people. There is a large screen for showing live sports. 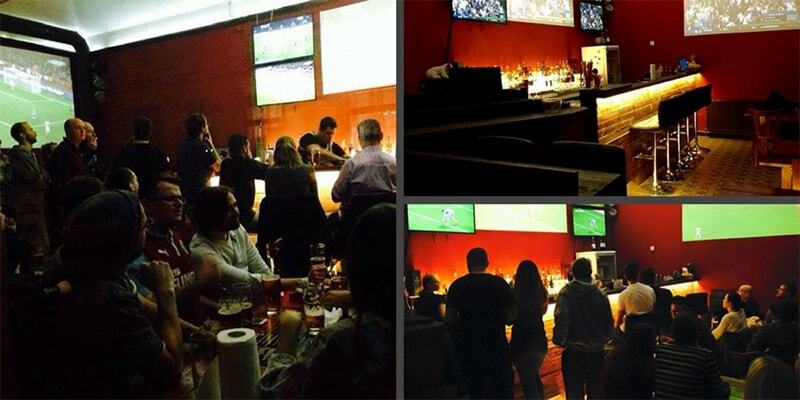 This is the best place for watching International sporting events such as the European Championship or the World Cup. Hours: 11.00 a.m. – 12 midnight daily sometimes opened even later in the summer. This is a British Bar located only 2 minutes walk from the Old Town Square. From the Old Town Square walk through Tyn Arch and take the first turn to the left and it’s just around the corner. There are many flat screen TVs on the walls and they can show different live sporting events at the same time. 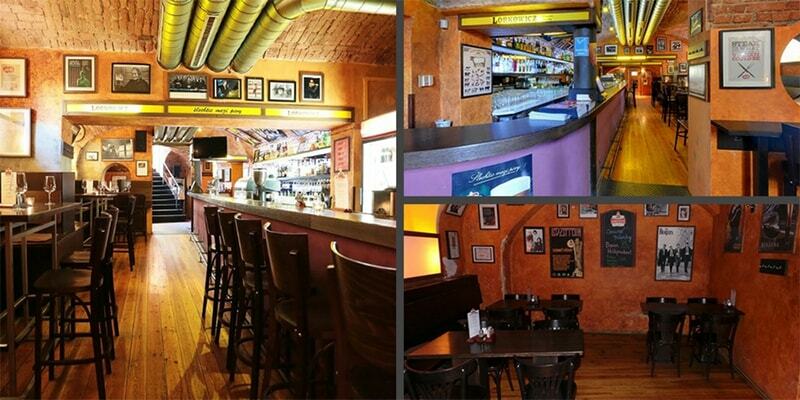 Jama is an American owned bar situated very close to Wenceslas Square. 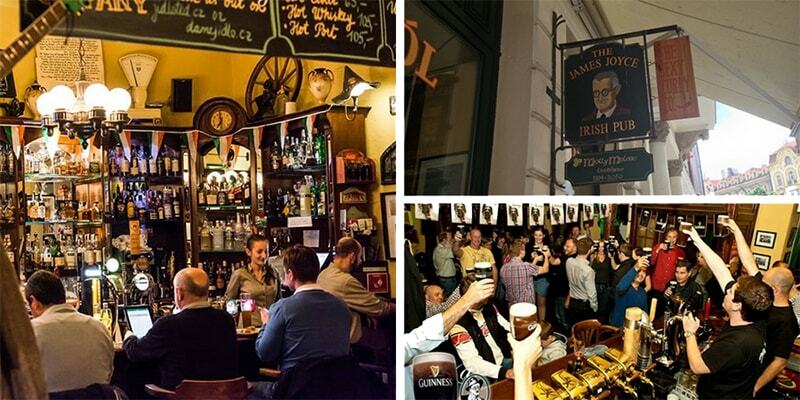 Jama is the oldest American bar in Prague and has been opened for more than 20 years. They have some TVs mounted on the walls but in the back they have a big screen showing live sport. While they show soccer games, they mainly show American sport such as American Football, Ice Hockey and Baseball.